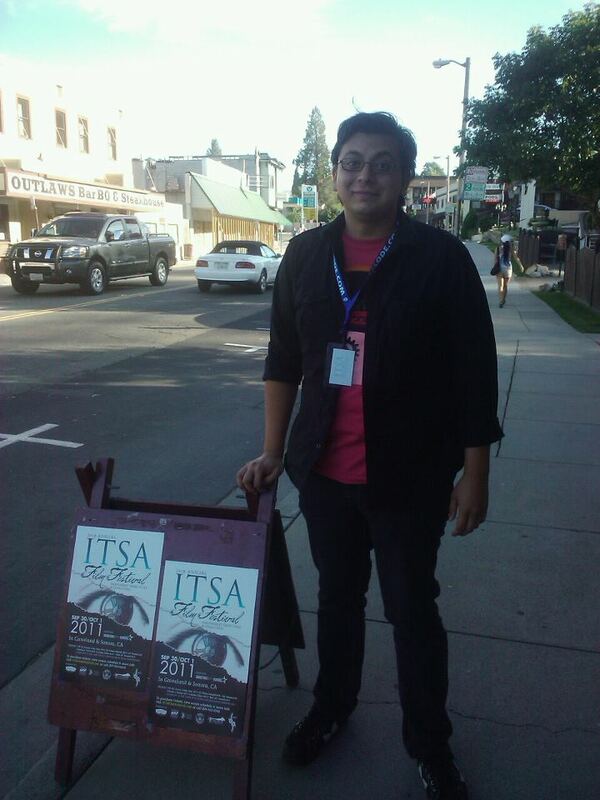 Last Saturday my boyfriend Matt had one of the music videos he directed shown at Itsa Film Festival in Sonora, CA. Sonora is in the 209 area code and an hour away and we never head out to the mountains so we were looking forward to it. As you can see Matt does not like taking photos - I was going to glue him in place by the sign! The film festival was divided into blocks - we stayed for his block and went then went for lunch 30 minutes away at Mineral in Murphy's, CA. To get to our lunch destination we went up through the mountains - long winding roads. Nature like this is so breathtaking - it is scary, I had to breathe a lot and take a shot of my stress relief inhaler so I would not get a panic attack. 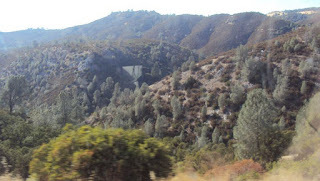 I ended up getting car sick - or car nauseated for the first time ever on this trip! 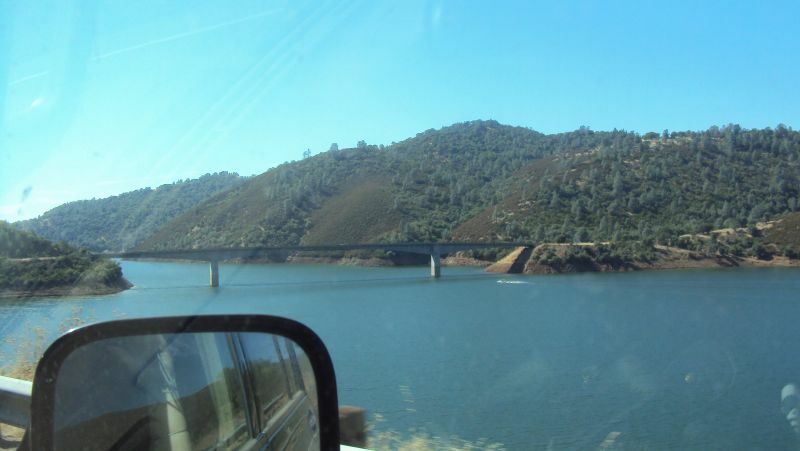 We had to go over a bridge - the water looked amazing but large bodies of water freak me out - so I just clicked away as Matt drove. We wanted to stop and take photos but did not know if we were allowed to pull over...Maybe next time! 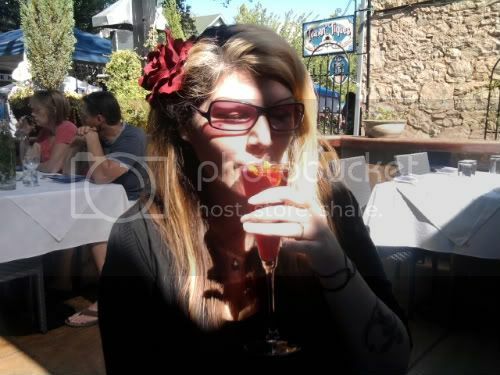 When we got to Murphy's it was packed - there was a wine festival going on and every shop was serving wine! I read that a grape stomp was going on but did not expect a huge crowed for such a small mountain town. We found parking - walked along the vendor packed street - looked at some shops and made our way to Mineral. Let me start off with a cocktail (in this case: The Aphrodisiac; Hibiscus flower, coriander, anise, ginger, bubbles - Matt had Brasserie Dupont Foret Organic Saison Ale) and a note: Mineral has been on my radar for over a year - but I did not see the point of traveling 90 minutes to a small mountain town for fancy vegan food - I see the point now! 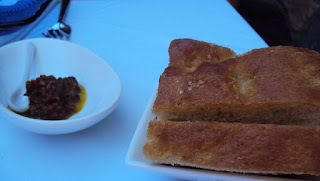 We were greeted and the menu was explained (vegan options) - the house made bread and spread was divine - the bread was so light and airy - bread pillow with a touch of chunky sea salt on top - mmmm! They even brought out large carafes of mint infused water. 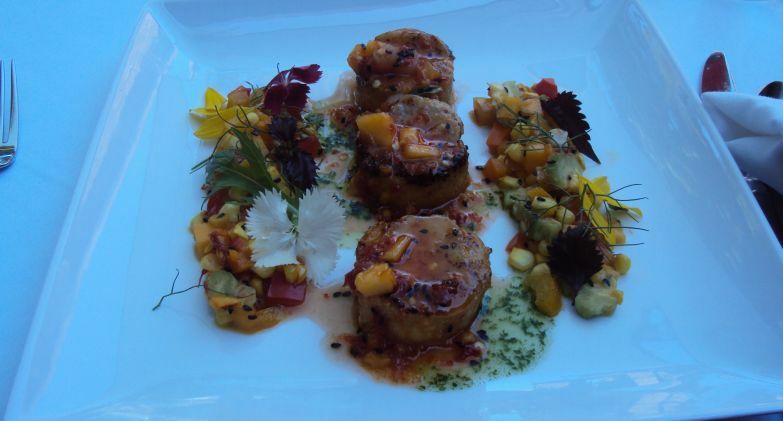 Minereal is a vegetarian restaurant but we learned most of the menu could be made vegan! I settled on the Mineral Burger - I did not know what to expect but I figure a restaurant gets high marks if they can do a good vegan burger. My burger arrived and I took a bite - and was so wowed! It had a smokey taste to it that I have never tasted before - it tasted like it took years to perfect (and word has it - it did! 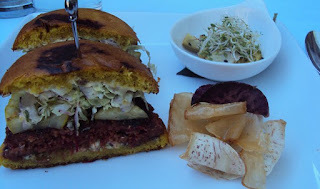 ), the aioli was rich but did not over power the yummy bun or patty. The chips and picked veggies added a nice kick. Matt decided on the Hawillian Land Scallops. They were tofu based and had a nice texture and the plating was very pretty. There was no fishy taste or anything trying to replicate animal protein on both of our plates. We finished it off with House Made Peanut Butter Chocolate Truffles. 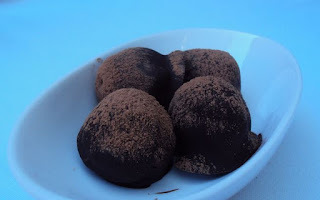 They tasted like grown up peanut butter cups, slightly bitter chocolate with slightly sweet peanut butter - perfect sized truffles you wanted to roll around on your tongue! It was a fun day up in the mountains - we would love to go back and explore more! Mineral sounds amazing! We also never go into the mountains, I also get carsick. It's why I've only been to Yosemite twice even though we only live about 40 minutes away. I'll have to brave my way through the nausea when we next go north--Mineral sounds totally worth it! How fun! I've always wanted to do a wine tasting/tour. CA must have such a great local food/wine assortment! Wow that burger looks & sounds delicious. You're so lucky to be close to mountains. I love being in the mountains, but can definitely see how they make some people sick & panicky. It is nerve wracking driving through them at times! I'm so glad that you had a great dining experience. The food sounds amazing and those truffles sound divine! I've also been meaning to check out Mineral, but it's a far drive from Sacramento. This post confirms that it would be definitely worth the gas money! Those truffles, mmm yes.